I’m not sure if there will be anything new here, but according to the City’s website, Mayor Pro Tempore Corey Branch and City staff will hold a meeting on the 27th at WakeMed to discuss the New Bern BRT line. I definitely want to post the final maps as me, personally, was disappointed in what the recommendations consist of. I’d love for this community to pick it apart. 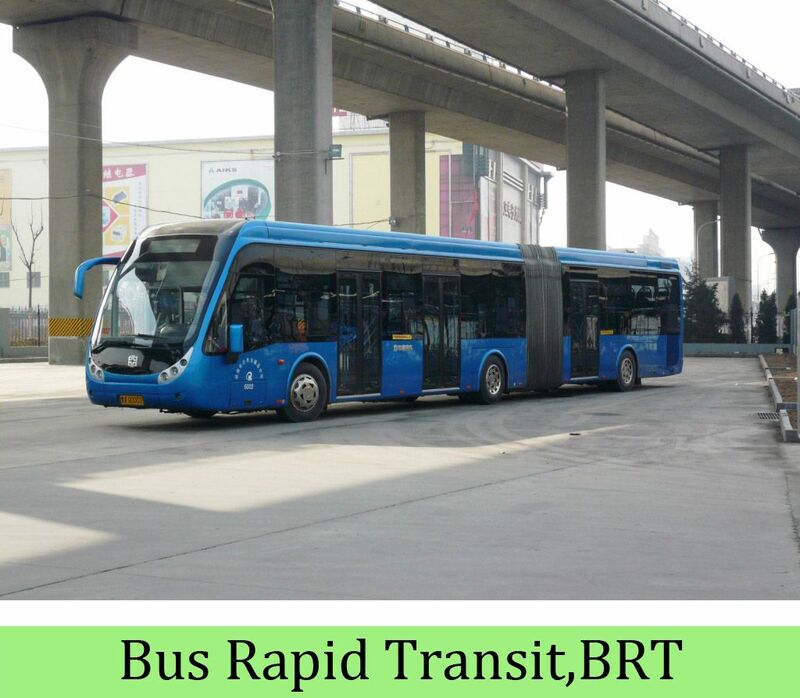 I will reiterate what I have said before: the mistake was insisting that the BRT routes connect through DT with each other. This decision was made before anything was ever discussed publicly, and also (I think) before the committee that @dtraleigh sits on ever even convened. While it does seem like a good idea on paper (mostly for operational reasons) it proved to be more constraining than probably originally thought. In particular, the insistence on connecting E-S (New Bern with South Saunders), and W-N (Western with Capital) ensured that no good options would be left on the table at all. Had they gone with the obvious E-W New Bern/Western and N-S Capital-New Bern pairings, things probably would have been somewhat better. These decisions were made, finalized, and apparently never put up for reconsideration at any level throughout the entire engagement process. They should have instead started with a blank slate and then balanced the operational concerns of through routing appropriately with other considerations like trip time, traffic impacts, coverage area, and service to both transit hubs. Once they saw what a mess the options were, they should have gone back and reconsidered the approach. they should have gone back and reconsidered the approach. I think one of the good, but rarely-mentioned parts of BRT could help here: it’s relatively easy to change things about BRTs after it’s built (compared to rail or… really, any other mass transit system other than boats). If the downtown rights-of-way become a gigantic mess, wouldn’t it be relatively easy to just shift the bus-only routes after a new traffic pattern is designed? 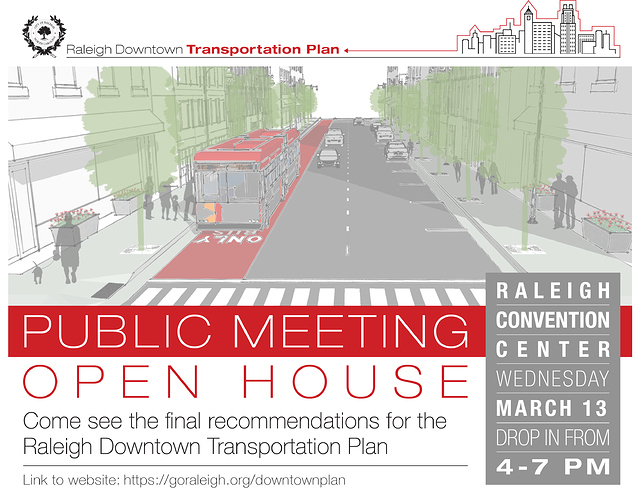 It might add fuel to the fire for pushing to get rid of one-way streets in DTR, too. Yes, this is true. It is not necessarily cheap to move things like platforms and canopies, but I expect the right of way will mostly be paint and perhaps some sort of bolted or glued down flexible dividers or mounted curbs so those should be much cheaper to move than light rail. As an aside, while I am glad that the east-west streets downtown have gotten converted for two way traffic, I actually like the one-way north/south streets we have downtown. I would actually even support converting West/Harrington into another one way pair. Why? It leaves more space for things like bus lanes, protected bikeways, and wider sidewalks. The problem is with the way one way streets are used as a traffic engineering tool to maximize throughput, not with the very notion of one way traffic itself. Without the traffic engineering, one way streets are fine and in fact quite nice. I don’t really buy the idea that making streets less confusing for drivers should be a priority - and that is really the only argument for two way conversions other than undoing the excessive traffic engineering. we’re radically changing the existing plans for downtown with the BRT plan. We’re going back on plans to make Bount/Person 2 way, and we’re removing bike infrastructure. Its easier to move than a rail track, but sill pretty immobile once its in. I’m keeping an eye on this as well. In the BPAC retreat last week, GoTriangle presented the current plan. They are going to remove several existing bike lanes and cancel the 2 way conversion to Bount/Person. In fairness, they lay out a really good protected bike lane plan for downtown, but as far as I can tell its just lines on a map. Once the BRT goes in, the political will to replace and improve the bike infrastructure is going to evaporate. It will be a challenge to get council to approve the removal of some ~200 on-street parking spaces for BRT. After that, I find it very unlikely we’re going to remove even more to implement the recommended bike paths. I would like to see the plan implement any bike and pedestrian improvements before the removal of existing facilities. But when the draft of this was first presented to council a few weeks ago, ped/bike issues did not receive a single sentence of the planned presentation, and was only addressed (weakly) after the rep was specifically asked about it. They were tasked with designing a premier BRT facility. And they’re doing a great job. They should have been tasked with developing a premier multi-modal plan for DT. Are you guys allowed to say what the plan is? I’m curious if the BRT plans are what has caused the several year delay in the Blount/Person project. Having seen the near final report and about a month or so has gone by for Kimley-Horn to polish up the plan, I’d rather it speak for itself. My biggest take away really is that not enough was decided anyway. It still leaves alternatives for the mid and long term anyway. Sure, near term, the easy decision to make New Bern the preferred route (as if there was really any other alternative on the east side) was the recommendation but there are still open questions about the southern approach, the core downtown network and how it meshes with bike/ped, and the north segment is basically undecided. Yep… and I voted for the West St. Extension. I think there is more to it than that. Somebody correct me if I am wrong, but I think it is basically too early in the arduous new starts/small starts process to be really decisive. If you want federal funding then you have to follow the NEPA process, which dictates every reasonable alternative as well as a no build and “TSM” alternative, must be considered. There are certain things you can do in terms of defining the purpose and need statement to intentionally exclude options you don’t like, or “screening out” other unfavorable alternatives early in the process by evaluating them unfavorably on various criteria. But if you have a reasonable alternative, and can’t eliminate it through the above, then it must be carried forward into NEPA without prejudice (or without obvious prejudice anyway.) There are still ways to put a finger on the scale even after that point, but we’re not there yet. In addition, FTA would seriously frown on a study where the only alternatives were build/no build. So here we are. All of that is foreign to me so perhaps my concerns are unfounded just cause I have no visibility into that process. I’d love to learn more though. I was unable to attend the presentation regarding the New Bern Ave. BRT project last night. I am hoping someone attended and can give their feedback. I find it interesting N&O comes out with this article the day after the presentation, further enforcing the need for density in walk-able areas. North Carolina’s population growth has been concentrated in urban areas, where new forms of mix-used development can help reduce traffic by allowing people to walk. and I was at the BRT meeting tweeting out what was going down there.